Ever met a genie in a bottle? Ten spirits any bar would love to have, provided the price is paid. When Remy Martin released 786 bottles of the Louis XIII Rare Cask 43,8 (the number indicates a 43.8 per cent alcohol content, slightly higher than the blue-blooded cognac's 40 per cent) in 2004, it made history. For the first time in the life of Louis XIII (it spent around 140 years as a favourite of corporate royalty, hip-hop moguls and Chinese mandarins before President Xi Jinping's anti-corruption crackdown), the eau de vie from one cask (or tiercon) was considered fit enough to be released by itself, instead of a blend of 1,200 different Grande Champagne eau de vie maturing between 40 and 100 years. The basic building block of a noble cognac, eau de vie is the colourless grape brandy that is left to mature for decades before it is blended into a cognac. The Leela Palace-New Delhi can, therefore, legitimately claim bragging rights for being the only hotel in the sub-continent to own the distinctive Baccarat decanter, set in black crystal accentuated by a palladium collar, in which the Louis XIII Rare Cask 786 (that's the trade name for the 43,8, inspired by the 786 bottles of this rarity) sits at its bar, The Library. You can pardon its excitement, which led bartenders to set the new gold standard for blingy extravagance by creating the Smoked Sidecar, a shot of Louis XIII Rare Cask 786 infused with Cuban cigar smoke and blended with the orange-flavoured cognac liqueur called Grand Marnier. 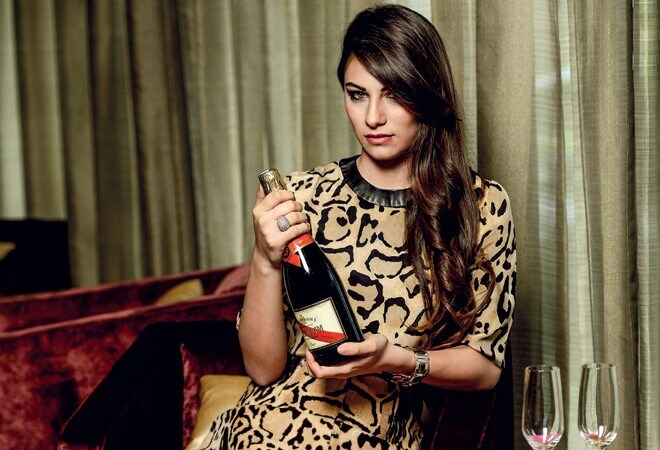 A single Louis XIII Rare Cask Smoked Sidecar can set you back by over Rs 1,30,000 plus taxes, and it may never be drunk. Even if it is, it would be enough to get the chatterati talking. Every bar across the country has rare beverages that can give your credit card a run for its money, though they may not be anywhere as expensive as the Smoked Sidecar. BT More delved deep into beverage lists across the country to come up with a first-ever list of the ten drinks you'll find only in one bar across the country. Welcome to this rare and exclusive club of life's greatest pleasures, and raise a toast to fulfillment. 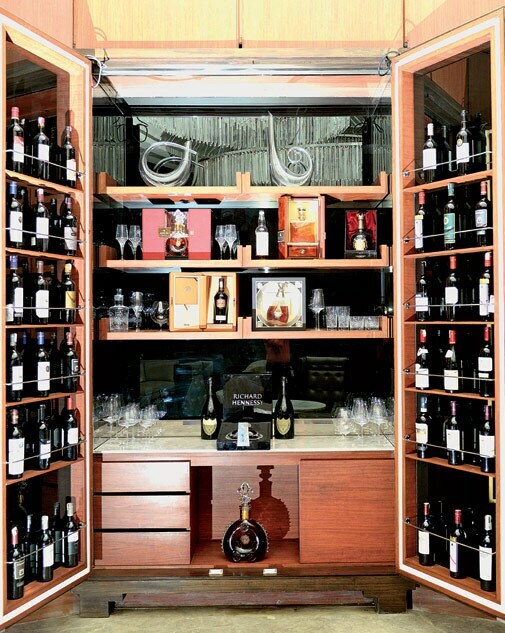 The Louis XIII Rare Cask 43,8 gets a section of its own at the bar cabinet at JW Marriot, Aerocity, Delhi. PRICE: Rs 29,000 for a 60ml shot; Rs 3,62,500 for the 750ml bottle, plus local taxes. One of eight working distilleries of Islay now owned by Remy Martin, Bruichladdich became a joke of sorts when the Americans put it under surveillance on the suspicion that Saddam Hussein was getting his so-called "weapons of mass destruction" made under the cover of the distillery's Victorian equipment, dating back to 1881. It turned out to be a hoax and, today, it's business as usual at the distillery with the 40 YO being its oldest-ever bottling. The single malt was distilled in October 1964 and filled into fresh Bourbon casks for four decades before being released in 2004. For lovers of this smoky single malt, a perfect after-dinner meditative drink, this is a unique expression of Laphroaig that is unlikely to be made ever again. Distilled in 1970, this Laphroaig owes its origin to the single barrel handed over to the Italian bottler, Silvano Samaroli, in 1986. As Samaroli has been selecting and bottling the world's best whiskies since 1968, the Laphroaig 1970 has got to be special to have attracted his nose (and attention). But if you care for a swig, you'd better hurry; the reserves have been depleting slowly but steadily. When The Aman opened with great expectations in New Delhi in 2008, this champagne (also available from the 1988, 1990 and 1997 vintages) was the reigning star of its well-stocked cellar. Now, as it was disgorged exclusively for the hotel, you won't get to drink this bubbly anywhere else in the world. Initially created by a Frenchman named Eugene Aime Salon for private consumption in the 1890s, the champagne uses only grapes from the grand cru village of Mesnil-sur-oger. It went commercial in 1921 and was released only 37 times in the last century. When DLF bought The Aman from Adrian Zeca, the hotel got a new name, The Lodhi, but inherited the remaining bottles of this rare champagne. Bacardi produced just 3,000 bottles of this limited edition in the Bahamas exclusively for the Millennium Year. The contents of each numbered bottle, matured for eight years in oak barrels and finished in sherry casks, were carefully filled by hand in a Baccarat crystal decanter with the brand's signature bat on top. Each decanter of this rum comes with a certificate of authenticity signed by the then President of Bacardi Limited, Ruben Rodriguez. The maker of the world's largest-selling rum has never produced anything as exclusive since 2000. When spirits industry veteran Tom Jago and his partners James Espey and Peter Fleck of the London-based company, The Last Drop Distillers, went around abandoned warehouses of Scotland looking for leftovers of rare blended Scotch whiskies and single malts, they stumbled upon The Old Dunnage Warehouse at Auchentoshan, a Lowland town northwest of Glasgow. Here, they discovered 1,347 bottles of a blended Scotch whisky that was distilled and blended in 1960, then made to spend 12 years in American oak before being moved to sherry casks in 1972, where it remained for 36 years. About 70 malt whiskies from several now-defunct distilleries and a dozen grain whiskies go into this blend. This rum is rare because it is made with a 70:30 ratio of molasses and sugarcane juice, fermented with natural yeast, and then double distilled in pot stills, followed by charcoal filtering. Named in honour of the valiant men who participated in the Mexican revolution (1910-20), it is produced in the town of Cordoba in the eastern province of Veracruz, an area famed for its sugarcane production. The rum is aged for 10, 15 and 20 years in used American white oak barrels, which lend a light and refined flavour to the finished product. It may not carry the mind-boggling price tag of a Kauffman Limited Edition shot, but this is the only sparkling vodka in the world that has to be stored in a freezer for fizz retention. Invented by Philip Maitland, this quintessential party drink was created originally for the U.S. market. Now, as the manufacturing process was patented in 2003, very limited stocks happen to be in circulation, and the vodka - a blend of wheat, malted barley and charcoal-filtered British spring water - may just disappear after people have consumed it all. With an alcohol content of 72.5 per cent, a bottle of Hapsburg Traditional can take you a plane higher than any other liquor in the country. But, then again, this emerald green wonder (it's the colour that has given absinthe, made famous by Bohemian French artists such as Henri de Toulouse-Lautrec, its nickname 'The Green Fairy') is nowhere near the 89.9 per cent content of the Black Absinthe. It's best drunk with three to five portions of water, which causes the drink to cloud but dilutes its alcohol content and releases sugars that balance its medicinal bitterness. Some people also add sugar. A creation of Dr Mark Kauffman, Russia's biggest wine and spirits importer, the Kaufmann Limited Edition commands its price tag because it is the only vintage vodka in the world. Only 25,000 numbered bottles of the same are produced during the years Dr Kauffman feels that the wheat is of a good enough standard. Just once in a vintage year, the vodka is distilled for an extraordinary 14 times before two filtrations -- through birch coal and quartz sand -- and then packaged into one-of-a-kind penguin-shaped bottles with silver tops that resemble the bird's head. All paan lovers who like it saada know about kimam, the aromatic, ketchup-like blend of tobacco, spices (cardamom, saffron and/or aniseed) and additives such as musk. So, can you imagine drinking vodka infused with kimam, or having your cocktail spiked with bitters made with mulethi (liquorice), the medicinal herb that practitioners of ayurveda just love? 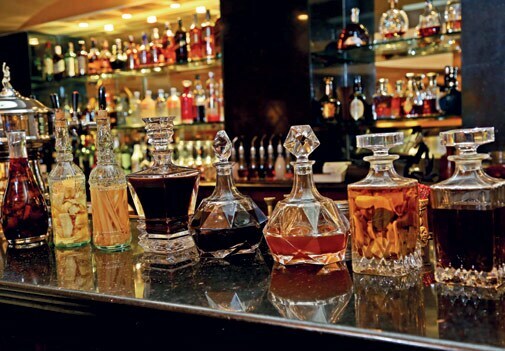 The inventive bartenders at Delhi's Taj are busy creating flavoured vinegars, infused vodkas and bitter to add a touch of newness, and perhaps unpredictability, to classic cocktails. They are rare because not everyone can get them right, and they are special because they are one of a kind.